The ProPlus Rescue System is designed for use by entertainment technicians working at height. 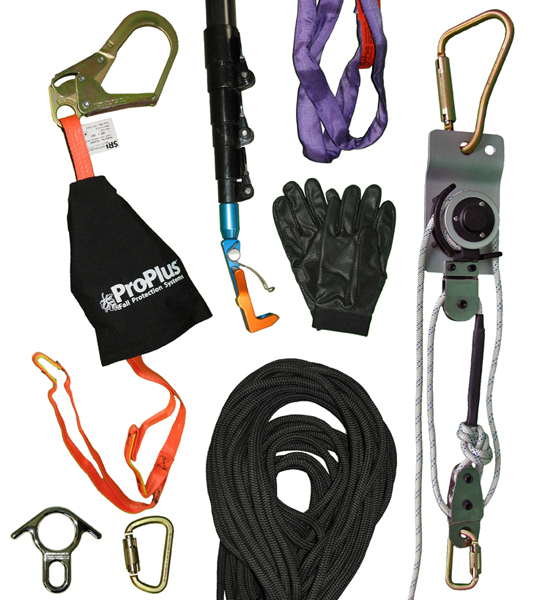 The ProPlus Rescue System is lightweight, compact and can be set up quickly. With a 3:1 mechanical advantage, one person easily operates the controlled descent device. No tools are needed to install or remove the system and all components are reusable. Designed for assisted rescue, the system can be mounted on a grid, catwalk, truss or on the rigging steel.  A manually operated controlled-descent device.  Rescue 8 with ears.